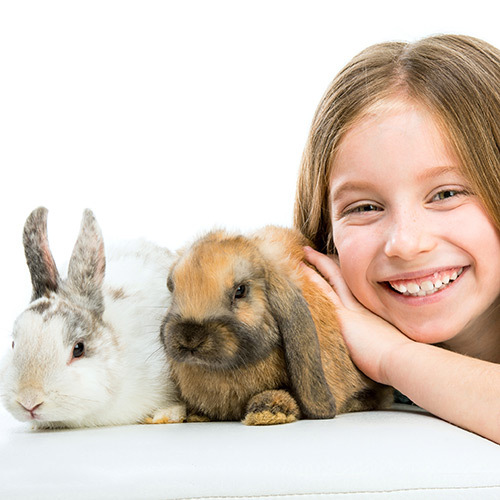 Rabbits are sociable creatures and this year, ‘Rabbit Awareness Week’ is focusing on #Buddies for Bunnies a campaign to inspire pet owners to consider suitable friends for single rabbits by encouraging re-homing from welfare centres. Rabbits can live happily on their own but it is believed that usually they are most happy living with a buddy. This good advice from ‘Rabbit Awareness Week’ might be helpful if you’re looking to pair your rabbit up with a new friend. And to celebrate ‘Rabbit Awareness Week’, and until the end of June, we’re offering a FREE veterinary nurse health check and free goodie bag with a food sample, food voucher, insurance discounts and some helpful rabbit care information. Simply call us for a free appointment Monday to Friday 10am to 7pm or Saturday mornings 9am to 12.